Sleep isn't a luxury. Skimping on zzz's compromises everything from your immune system to your memory. You might think of sleep as the negative time in your day when nothing on your to-do list gets done. Your brain and several other systems in your body see it quite differently. Physiologically sleep is defined as a state our bodies enter into during which brain wave activity changes and our nervous system is less reactive to external stimuli (i.e. we temporarily leave consciousness). But our sleep is not constant throughout the night. We actually cycle through four distinct sleep phases multiple times (five if you count “awake” as one stage), Bazil, who is also Director of the Division of Epilespy and Sleep at Columbia University College of Physicians and Surgeons, tells NBC News BETTER. There are two stages of light sleep. The lightest is the stage of sleep you’re likely in if you nod off during a lecture when consciousness is decreased, but the brain is still processing some information around you (sometimes hearing your name or another stimulus will jolt you awake). 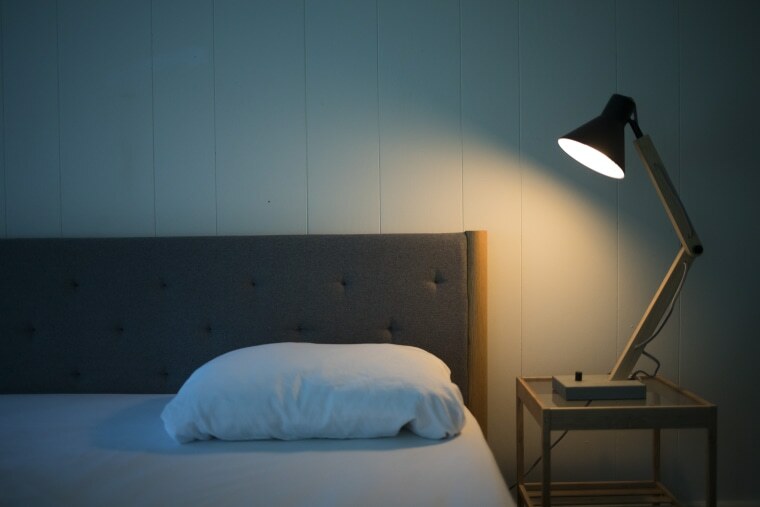 Intermediate light sleep is slightly deeper, which is harder to awaken from, Bazil explains. Your brain is actually very active during sleep doing important things — it’s not just resting. Deep slow-wave sleep is the next stage of sleep. This is the deepest, most restful, and most restorative stage of sleep, when it’s hardest to awaken. If you do get woken up during this stage of sleep you’re likely to feel groggy. And finally, there’s REM sleep (short for “rapid eye movement sleep”), which is when we dream. Our bodies tend to spend more time in restful slow wave sleep earlier in the night when our bodies and minds are most tired. Later in the night we tend to spend more time in REM sleep. Sleep also helps keep our attention and focus sharp, Bazil adds. We all (likely) know the “fuzzy” feeling that results after a night of too little sleep, especially if you’re trying to pay attention to a lecture on a complicated topic or focus on a complex task. But it’s also important to note that chronic sleep debt accumulates and research shows the attention and focus deficits caused by sleep loss actually accumulate over time, Bazil explains. If you spend all night trying to learn something new and miss a few hours of sleep to do so, your brain’s not going to retain that information the same way it would have if you’d gotten a full night of sleep. One study followed a group of individuals who got six hours of sleep for two weeks. Their attention got progressively worse over that time period and by the end their attention was nearly equivalent to individuals who had been awake for two nights of getting no sleep. Think cranky toddler in need of a nap. We all know that sleep (and lack of it) affects mood and irritability. But brain-imaging studies have shown that a good night’s sleep helps our brain regulate mood and cope with whatever the next day brings. Conversely, insufficient sleep boosts a part of the brain that’s known to be affected by depression, anxiety and other psychiatric disorders. “Without sleep, the brain had reverted back to more primitive patterns of activity — in that it was unable to put emotional experiences into context and produced controlled, appropriate responses,” the study’s senior author Matthew Walker, Director of University of California Berkeley’s Sleep and Neuroimaging Laboratory, said in a statement in 2007 (when that research was first published). Chronic insomnia has also been linked to increased risk of developing a mood disorder, including anxiety or depression. Another study found that after a week of getting just four-and-a-half hours of sleep per night, individuals reported worse moods (in terms of feeling stressed, angry, sad or mentally exhausted). Outside of the brain, there’s a lot changing throughout the rest of the body during sleep, too. Our heart rate and body temperatures drop, our breathing rate slightly decreases and becomes very regular (at least during most stages of sleep), and kidney function slows down (which is why you typically don’t feel the urge to pee as frequently during sleep as when you’re awake). And at the same time, other systems in the body ramp way up during sleep. There’s an increase in the release of growth hormones during sleep (this is when kids get taller, our skin cells regenerate, and our hair gets longer), as well as the hormones that regulate appetite. Sleep is also when our muscles repair damage (and regular wear and tear) from throughout the day. Sleep also plays an integral role in regulating the body’s immune system, which is responsible for fighting off all sorts of problems from the common cold to more serious chronic problems like cancer. (Research suggests that the body produces fewer infection-fighting antibodies when sleep deprived.) Studies have shown that individuals are more likely to catch a cold virus when you’re sleep deprived and that vaccines can be less effective after a poor night of sleep. And thanks to all these important roles that sleep plays in the body, chronically getting poor sleep can have some pretty serious consequences. Cutting sleep short by even just two to three hours a night over time has been linked to an increased risk of obesity, diabetes, cardiovascular disease, hypertension and premature death. Part of this has to do with the fact that insulin sensitivity fluctuates during the day — meaning our bodies actually metabolize food differently at different times of the day, she says. And though there’s a lot more research that’s needed to fully understand the connection between sleep and metabolism, it’s clear that they’re connected, she says — and likely has a lot to do with why people who report getting worse sleep are more likely to be overweight. The bottom line, says Bazil: sleep is not a waste of time and you can’t get away without it.